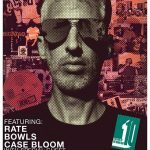 Case Bloom…DJ, entrepreneur, promoter, crowd pleaser…is the Co-Founder and Co-Owner of Tucker and Bloom and The Boom Bap. Raised in the Music City on trips to local record stores, too many tacos, and late night hours taping DJ mix shows off the radio, Case caught the hip hop bug early on and has been putting in work behind the turntables and in the streets for a number of years. Case’s diverse musical selection, impeccable timing, and seamless mixing hit dancers square in the sweet spot, taking crowds on a journey through party classics covering Funk and Disco, Hip Hop, Breaks, House, Latin, and everything in between. 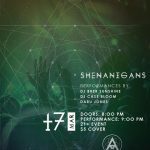 His monthly party, The Boom Bap, is a 7 year institution in Nashville, with monthly residencies in Philadelphia, Atlanta and Miami as well. 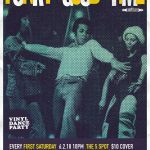 Funk and Soul at The 5 Spot! Please contact Mike Neri, who’s information is included in the document, when you’re about 15min out from arrival. I will also be available on my cell, at 512.940.2502. Please don’t hesitate to holler with any questions.